Blue whales are the largest creature ever to have lived on Earth. Here are some amazing facts and figures about these incredible creatures. Blue whales can grow to over 33 metres (around 100ft) in length, which is over twice as long as a t-rex dinosaur – and makes them the largest animal species on Earth! The calf of a blue whale is around 7 metres in length, around the same as an adult African elephant. How much does a blue whale weight? Female blue whales weigh more (180,000kg) than males (150,000kg). At around 2,700kg newborn blue whale weighs about the same as an adult hippopotamus. The heart of a blue whale can weigh 450kg. How long does a blue whale live? The oldest known blue whale was around 110 years old; however, 80 or 90 years old is thought to be more normal. Despite their enormous size, they feed on tiny shrimp-like crustaceans called krill (as many as 40 million every day) which they scoop up in huge mouthfuls and sieve from the water using their baleen. 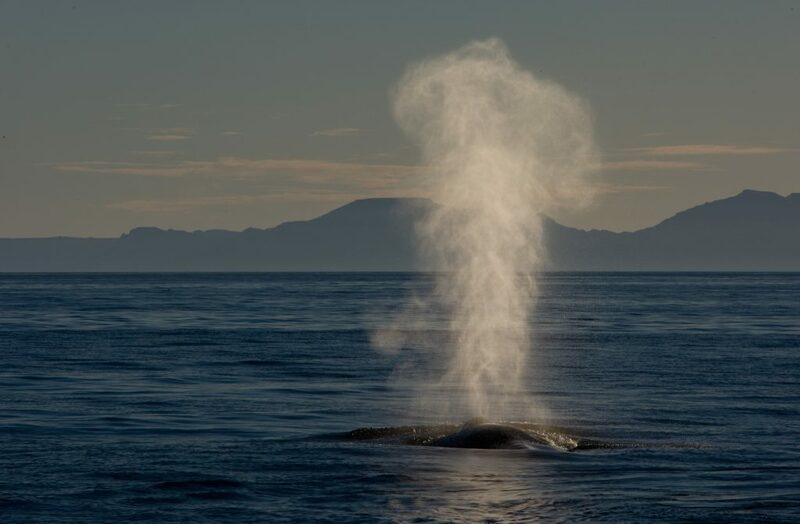 They have loud, deep voices and can communicate with other whales hundreds of miles away. The sound they make can reach up to 188 decibels (anything over 120-130 is painful for humans). Only the sperm whale makes a louder sound. The tongue of a blue whale weighs as much as an elephant and is so big a whole football team could stand on it. Most blue whales migrate to cold waters to find food and to warmer waters to breed. Females usually give birth to a calf once every two or three years after a gestation period (pregnancy) of up to 12 months. A blue whale calf can drink over 500 litres of its mother's milk every day. It is weaned after around six months. The major blood vessel of a blue whale’s heart is so big that a baby could crawl through it. During their four-month migration, they eat very little, surviving mostly on reserves of blubber. Although hunting blue whales has been banned for a long time, they are still an endangered species with an estimated worldwide population of 10,000 - 25,000. 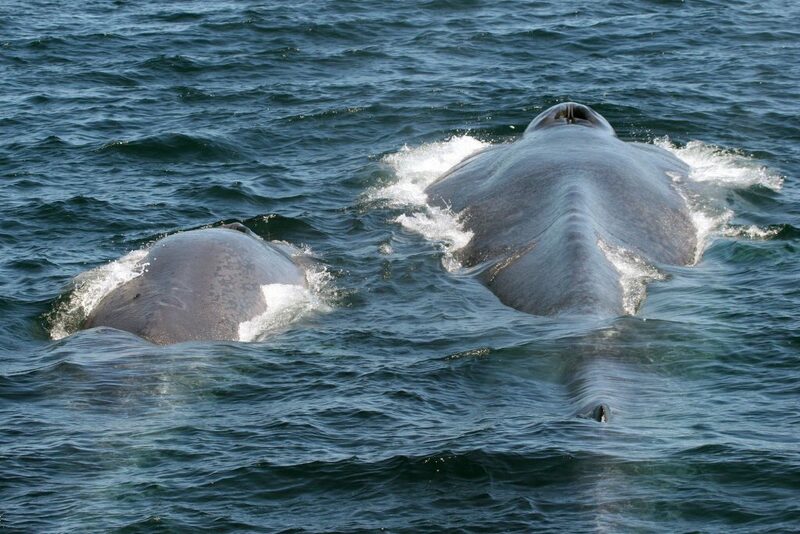 Blue whales may be encountered on whale watching trips operating in locations such as Iceland, Canada (Gulf of St Lawrence), California, Sri Lanka, the Maldives and Australia.